A family moves into an old country house and soon they find out that it is haunted by an evil presence. Furniture moves on its own, strange whispers and screams can be heard at night, sightings of a mysterious old lady are reported... Soon their life becomes a nightmare and they begin a desperate fight for survival. Sounds familiar? It should, as those are the elements that can be found in every other horror story. 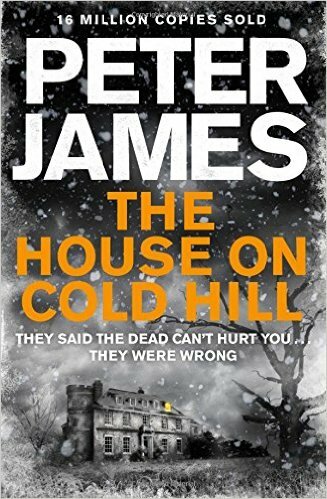 While Peter James uses them pretty well, he has nothing unique of his own to add to this standard. I was waiting for something to happen that wouldn't follow the standardized pattern of horror stories like these but was quite disappointed. Also, I found it hard to get involved in a story in which ghosts use computers and mobiles to freak people out. Some interesting twists were added in teh final section of the novel but for me it was too little and too late. okay, going to give you another recommendation here. It's kind of a cult-hit book, but if you've never read House of Leaves (Mark Danielewski) you absolutely should. Thank you for the recommendation. It looks very promising.